Medicare Trustees Report Released: Why is This Important for ACG Members? This week, ACG Board of Trustee, Caroll Koscheski, MD, FACG was invited to Capitol Hill to provide feedback and guidance on various health policy issues addressed in a white paper recently released by Senator Bill Cassidy, MD (R-LA). Click here to read the press release and Senator Cassidy’s white paper. Among the issues in which Sen. Cassidy sought feedback from Dr. Koscheski and ACG were: ways to reduce health care costs and promote competition by encouraging more access to ambulatory surgical centers (ASCs), ideas for greater transparency with pricing, issues with Medicaid payment policy, and specific ideas to reduce physician practice burdens currently required by the MIPS’ Advancing Care Information (“meaningful use”) performance category. ACG will continue to engage with policymakers in urging more access to necessary GI services, as well as increased regulatory relief for clinical GI and private practitioners. Last week, ACG joined the Patients & Providers for Medical Nutrition Equity, a coalition of medical societies and patient advocates, to urge support for the Medical Nutrition Equity Act (S.1194/H.R.2587). ACG members are well aware of the substantial costs and burdens associated with accessing medically necessary foods for patients. This bill provides for insurance coverage for medically necessary foods prescribed by physicians for those insurance plans under the federal government’s jurisdiction (Medicare, Medicaid, certain commercial insurance). Click here to urge your support for the Medical Nutrition Equity Act! On Tuesday, the 2018 Annual Report of the Boards of Trustees of the Federal Hospital Insurance and Federal Supplementary Medical Insurance Trust Funds was released, with the major headline being that Medicare’s hospital trust fund is expected to run out of money by 2026. This is 3 years earlier than previously projected. According to the report, the more pessimistic outlook is largely due to reduced revenues from payroll and Social Security taxes and higher payments than expected to hospitals and private Medicare plans last year. Social Security faces depletion in 2034. That estimate is identical to last year’s projection. The Medicare trust fund (the fund which pays for Part A inpatient hospital services) is projected to run out of excess funds by 2026. Medicare Part B and other parts of the Medicare Program covering physician visits, outpatient services, and prescription drugs, are funded primarily with general fund revenues. Thus, these services are fortunately not included in the dire news regarding the trust fund’s future that is grabbing the media’s headlines. However, this does not suggest that Medicare Part B is without financial issues. So why is this report important to me as a gastroenterologist? These reports also discuss and review Medicare Part B services, costs, and financial outlooks (more on this below). Thus, the report allows ACG and public policy experts to potentially get a glimpse into the heads of those in charge of implementing Medicare payment policy for GI and health care services. As noted above, the 2018 Annual Report of the Boards of Trustees of the Federal Hospital Insurance and Federal Supplementary Medical Insurance Trust Funds was released this week, with the major headline being that Medicare’s hospital trust fund is expected to run out of money in 2026. 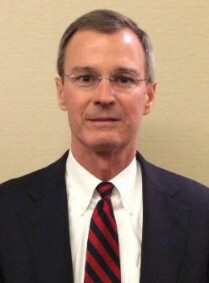 While the physician payment updates and new incentives put in place by the Medicare Access and CHIP Reauthorization Act of 2015 (MACRA) avoid the significant short-range physician payment issues that would have resulted from the sustainable growth rate (SGR) system approach, they nevertheless raise important long-range concerns. In particular, additional payments of $500 million per year for one group of physicians and 5-percent annual bonuses for another group are scheduled to expire in 2025, resulting in a significant one-time payment reduction for most physicians. In addition, the law specifies the physician payment update amounts for all years in the future, and these amounts do not vary based on underlying economic conditions, nor are they expected to keep pace with the average rate of physician cost increases. The specified rate updates could be an issue in years when levels of inflation are high and would be problematic when the cumulative gap between the price updates and physician costs becomes large. The gap will continue to widen throughout the projection, and the Trustees previously estimated that physician payment rates under current law will be lower than they would have been under the SGR formula by 2048. Absent a change in the delivery system or level of update by subsequent legislation, access to Medicare-participating physicians may become a significant issue in the long term under current law. Based on these payment mechanisms, the existing demonstration and payment models, the requirements for becoming an advanced APM qualified physician, and consideration of a November 2016 final rule, the Trustees assume that physician participation in advanced APMs will grow from 13.5 percent of spending in 2019 to 100 percent by 2065.